A goal for my upcoming Science Fantasy game is to have a decent array of custom playable races…easier said than done with miniatures unless the custom races amount to space elves, space goblins, and so on. 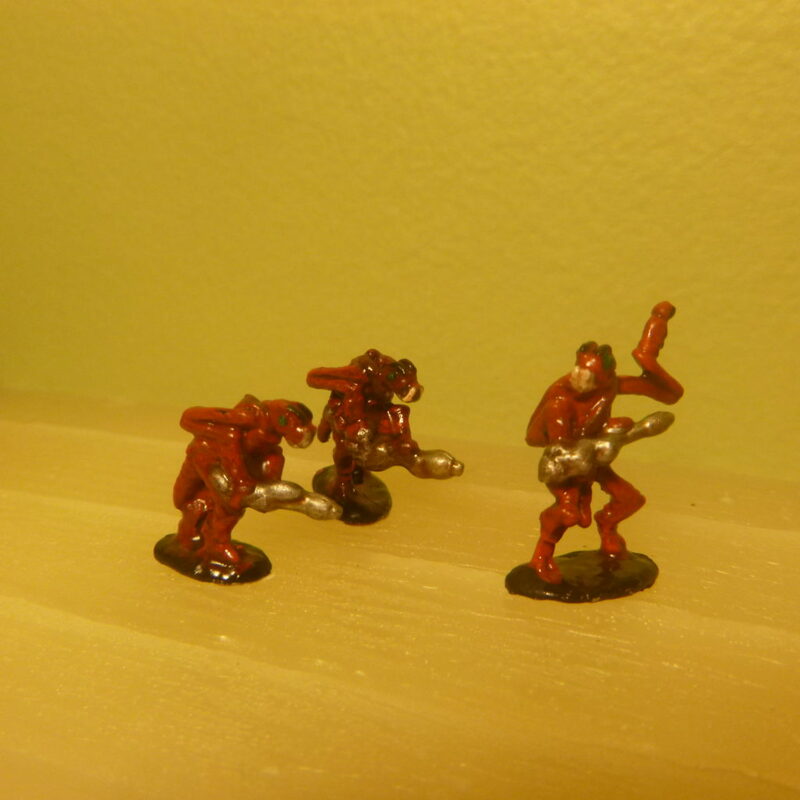 I think insectoids are interesting but it was challenging to find a supply of quality insectoid miniatures at a decent price. I ended up turning to Khurasan Miniatures, a supplier of high quality 15mm miniatures. 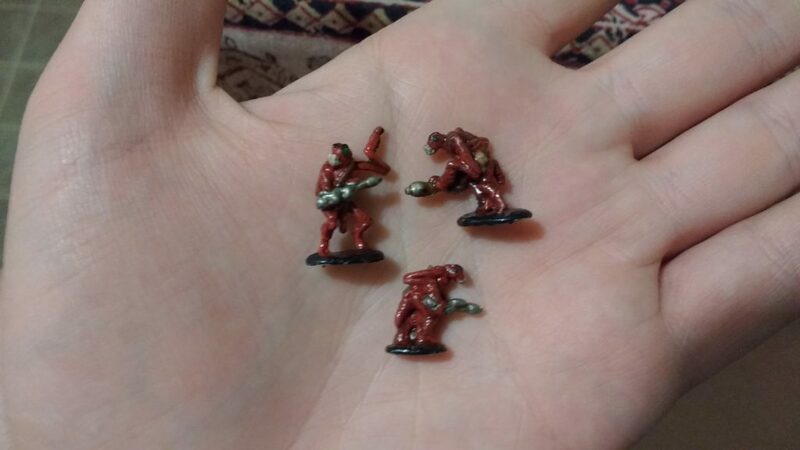 I ordered two sets of insectoids from Khurasan, the Stikks and the Vespulid. I decided to start off by practicing on the Stikks rather than the more detailed paint job necessary for the Vespulid. But before starting there was another challenge that I had to overcome. 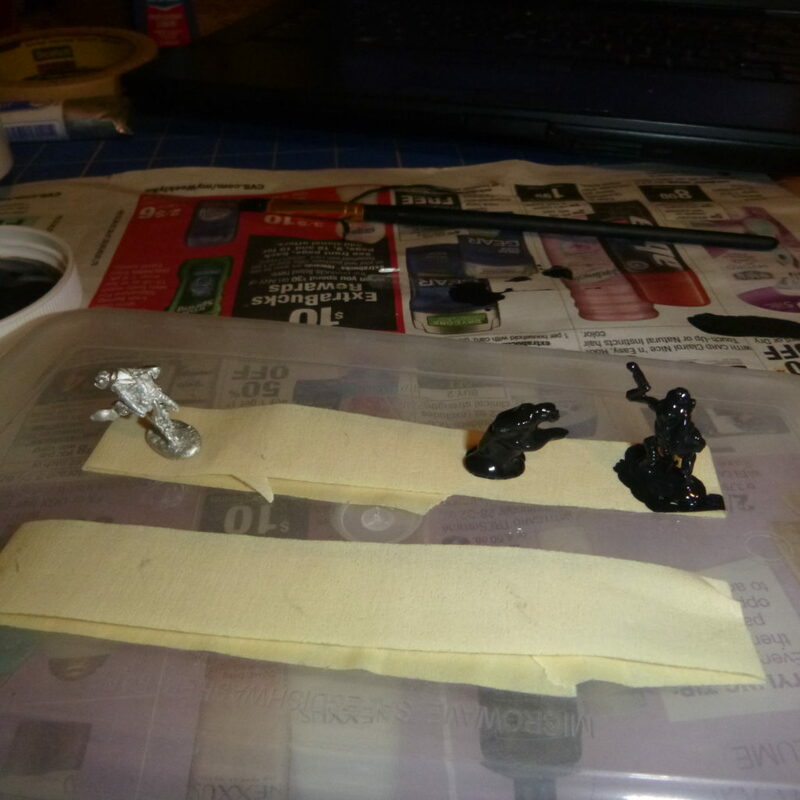 The Khurasan Miniatures that I purchased were made of pewter and needed to be primed. After some frustrations with spray on primer with Ridley Darkedge, I decided to re-prime that miniature alongside these with Gesso. I wish that I had taken a few photos of these after the Gesso dried. It was like magic, the thick globs of primer tightened up and the details slowly emerged. Unfortunately, I saw the not so magical side of this with poor Ridley Darkedge. The more I do this the more I learn that each material has it’s own idiosyncrasies and it’s fun to learn them step by step, even if it means that I’m going to have to strip the paint off a few miniatures down the road. All in all, I was satisfied with how these bugs turned out and it was a great introduction to priming with Gesso. They are, however, a little on the small size for a playable race where most medium sized creatures will be between 25mm Heroic and 30mm Heroic.